MEMRI releases another video which depicts Egyptian Mohammed Morsi making anti-Semitic comments. 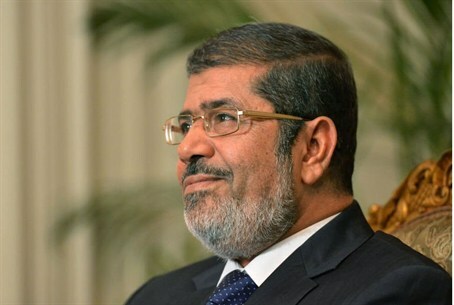 As Egyptian President Mohammed Morsi said that virulent anti-Semitic comments which he reportedly said prior to his election were taken out of context, the Middle East Media Research Institute (MEMRI) released another video which depicts him making similar comments. The latest video is an address delivered by Morsi, which was posted on the Internet on January 10, 2010. It was translated by MEMRI and published on Wednesday. In the newly exposed remarks, Morsi calls U.S. President Barack Obama “insincere” and calls for Arabs to raise their children on hatred of Jews. “One American president after another – and most recently, that Obama – talks about American guarantees for the safety of the Zionists in Palestine,” Morsi said. [Obama] was very clear when he uttered his empty words on the land of Egypt. He uttered many lies, of which he couldn’t have fulfilled a single word, even if he were sincere – which he is not. The United States later condemned those remarks and urged Morsi to immediately clarify his views.